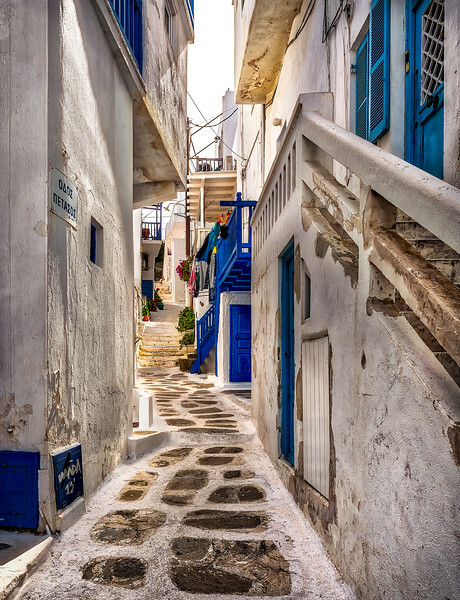 Mykonos is a maze of narrow streets and alleyways, each one filled with character and color. It's those imperfections and it's worn look that lend a unique charm that is unique to this little island. While there were street signs that I couldn't decipher, I was actually a bit lost when I took this shot. So, if you're looking to find your way here, seek out someone who can read the sign and point you in the right direction.